One of the TeenFlight 1 students who recently received his Sport Pilot license is flying the TeenFlight 1 airplane to OshKosh with the RV-1 and the factory RV-12 as I write this. "The TeenFlight crew will be at Airventure! 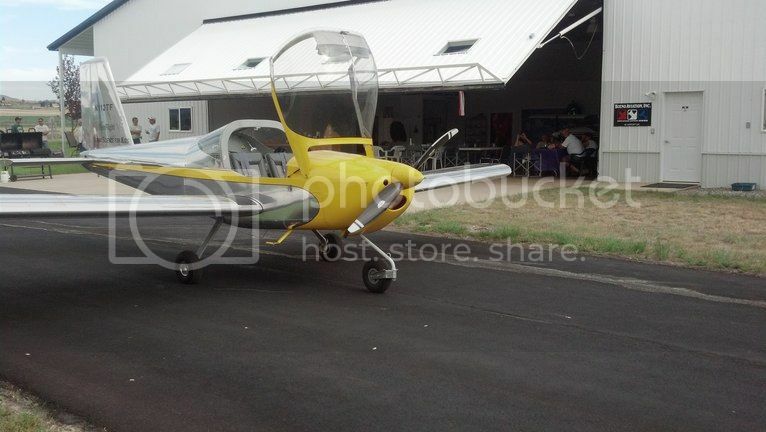 Look for the polished RV-12 with a yellow stripe and cowling. Three students from the first build will be present along with five TeenFlight 2 students. We are having a presentation, hopefully along with a Q/A session, on Tuesday at 8:30am in the Honda Pavilion building# 7 along with the Eagles Nest folks. If you are planning on attending Airventure that day don't miss it. 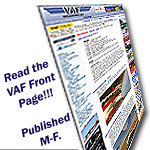 If I get a chance, I will try to post an update halfway through the week, but if not I will definately post one after Airventure is over." TeenFlight has been working since October on the avionics and the engine. After prepping the engine on a seperate bench, and after installing the avionics in the panel and tailcone (not to mention the various firewall sensors, oil cooler, oil tank, etc...), we hung the engine on the airframe Saturday. The plane is coming along. Next steps include the propeller/spinner, exhaust system, and cowl fitment. It has been getting quite exciting around the TeenFlight hangar these last few weeks. After completing the avionics installation, updates, and then minor calibrations, we rolled the plane out of the hangar for its engine run. It started right up and ran well. After carburetor tweaking it ran even better. All the systems checked out fine. Since then, we have been working on the upholstery and wheel fairings. Our registration is also being processed by the FAA. After the wheel fairings, we will begin work on painting. The plan at the moment is to paint it like the TeenFlight 1 airplane. HERE is a video of Justin (RVTrumpet here in the forums), one of the TeenFlight 2 program participants, giving a detailed walk around of the TeenFlight #2 RV-12 at Airventure 2013. I think it will be obvious to anyone familiar with building an RV-12 that Justin knows what he is talking about, and any one interested in the RV-12 should find it very informative. That's a great video - very informative. Nicely done video - and very informative. Last edited by rvbuilder2002 : 10-22-2013 at 08:14 AM. The TeenFlight III project is now under way.